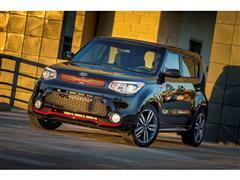 IRVINE, Calif., Oct. 27, 2016 — For the fifth consecutive year, Kia Motors America’s (KMA) iconic urban passenger vehicle, the Soul, was named a winner at the 13th annual Active Lifestyle Vehicle of the Year awards held recently in Chandler, Arizona. Once again, local media and elite athletes rated the Soul best in the urban category after dynamic and real-world evaluations, while the all-new 2017 Cadenza wowed them with its stunning new design and comfortable passenger space. 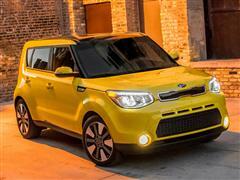 The 2016 Soul is one of KMA’s best-selling nameplates for good reason. The fun-loving Soul combines a funky and functional design, premium interior and a long list of standard and optional amenities. With a starting MSRP of just $15,900 (excluding destination charges of $850), the 2016 Soul boasts value and utility in a small and stylish package. For 2017, the Soul aims to increase its popularity with the addition of a turbocharged engine option. The all-new Cadenza will soon be arriving in showrooms with an estimated starting price just below $32,000. Kia Motors America (KMA) is the marketing and distribution arm of Kia Motors Corporation based in Seoul, South Korea KMA proudly serves as the "Official Automotive Partner" of the NBA and LPGA and set an all-time annual sales record in 2015, surpassing the 600,000 unit mark for the first time in company history. Kia offers a complete line of vehicles in the U.S., including the rear-drive K900 flagship sedan, Cadenza premium sedan, Sorento CUV, Soul urban passenger vehicle, Soul Electric Vehicle, Sportage compact CUV, Optima midsize sedan, Optima Hybrid, the Forte compact sedan, Forte5 and Forte Koup, Rio and Rio 5-door subcompacts and the Sedona minivan, through a network of more than 765 dealers across the United States. 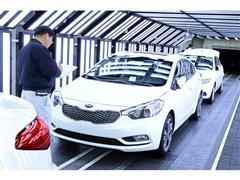 Kia’s North American manufacturing operations include plants in West Point, Georgia*, and the municipality of Pesqueria in the state of Nuevo Leon, Mexico.